Jason is an unwelcome guest at Camp Crystal Lake featured in the horror movie series “Friday the 13th”. This mass murderer first appears as a hallucination of the main character Alice and then continues on throughout the numerous fills to be the ultimate man to fear. Rumor has it that this movie franchise will be hitting the big screens in again in 2009 to make us all scream again. Oh, the horror! Be drop dead georgous in your own Jason costume. 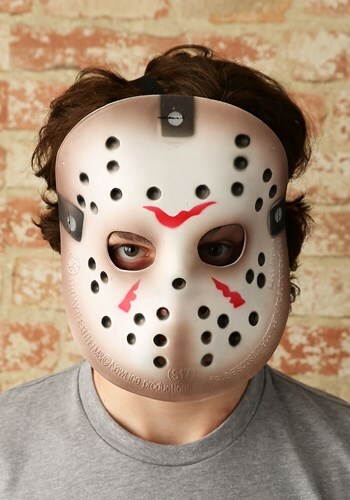 The primary piece of equipment for a Jason costume is a hockey mask. 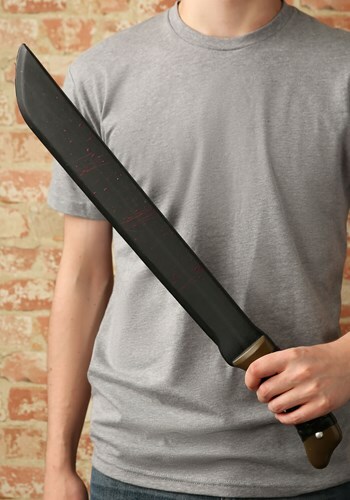 With dark clothes, a tattered overcoat and black leather gloves, a Jason costume wouldn’t be complete without a large toy machete. 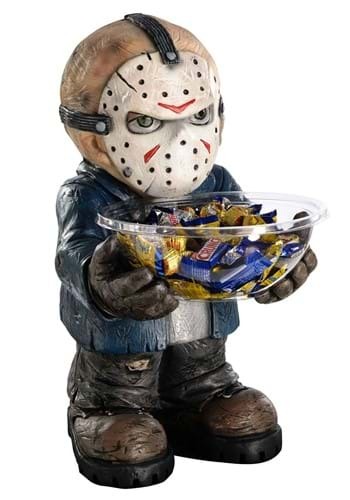 You may choose to wear an actual hockey mask or a Jason costume mask featuring his misshaped head, messed up hair and attached hockey mask. There are many other props to go with your Jason costume including Camp Crystal Lake signs to hang on your door. Looks like you’ll be spending the summer at Camp Blood.